Early Bird Registration for the next Association for Rural and Small Libraries Conference will open next month! The conference will be held September 13 – 15 in Springfield, Illinois. 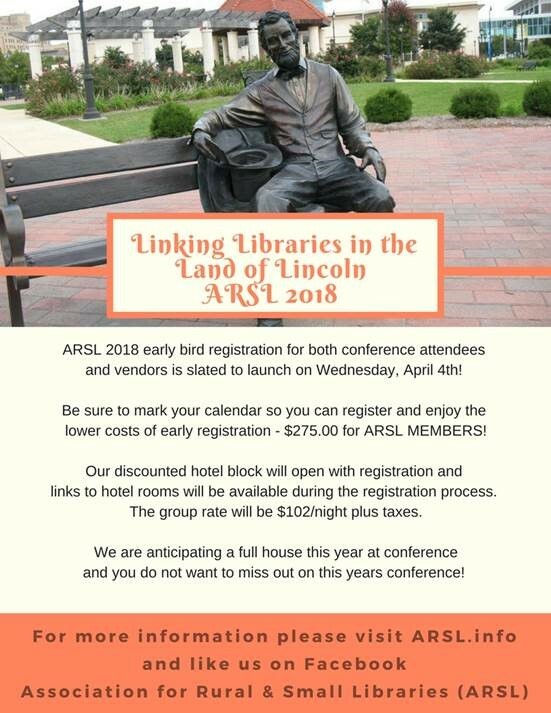 Check out https://arsl.info/ for more information.